WANT RESULTS? TRY THE 21 DAY FAT BLAST, THE AREA'S MOST POPULAR TRAINING PROGRAM. Now we bring the 21 Day Fat Blast to you. Your place of business, your school, your church, or any other group. Find out more info about our Corporate Onsite 21 Day Fat Blast and other onsite 21 Day Fat Blasts by clicking here! See how Nicole lost 56lbs and 15% body fat with this program! MEMBERSHIPS FOR LESS THAN $20 PER MONTH! LESS THAN THE PRICE OF EATING OUT 1 TIME OR GOING TO THE MOVIES. NO MORE EXCUSES, COME SEE US TODAY. Check Out These Fat Blast Participants! 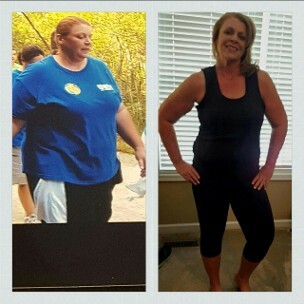 Nikki - Down 100lbs, 20 inches, 20% bodyfat!! Kim Halcomb - 11% body fat and 11.5 inches lost! Congrats to John "Stinkin" Chatta! 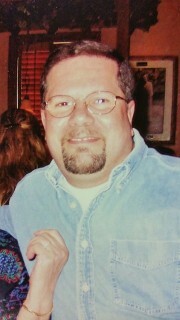 From John - "Thanks for helping me maintain a leaner, healthier and happier life. (From a miserable 225# to a leaner 170#.) Even when you add Burpees to the workout, your guidance, encouragement and humor is appreciated and helps me stay the course. Thanks again!" A friend I had met at Hoover Fitness encouraged me to try the 21-Day Fat Blast. I was hooked. After 21 days, I had lost 2.5% body fat and saw immediate changes in my shape. Personally, I had always enjoyed weight training more, but I had been convinced that women could only lose weight through cardiovascular exercise. The Fat Blast showed me that I could have a combine the two. 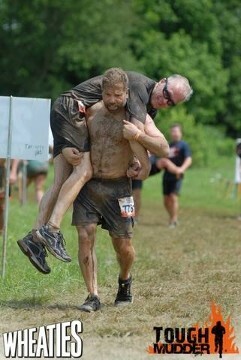 Plus, there is a camaraderie within the group setting unlike any traditional fitness classes that I have ever taken. I have been doing the 301 workouts and Fat Blast for almost a year and half now. The workouts are always interesting and keep me guessing as to which muscle group I’ll be feeling the next day. I never imagined that after two kids I would be in the best shape of my life! Thanks to Hoover Fitness and The 21 Day Fat Blast, I have never felt or looked better physically. After the birth of my second child, I decided to start working on getting the baby weight off. After several weeks of getting back in the gym, I felt that I still was lacking the motivation needed to be diligent with my workouts to gain the results that I was working towards. A friend and fellow member of Hoover Fitness told me about The 21 Day Fat Blast that was offered there. I was so impressed with her testimony and results that I signed up right away. In just 21 days, I lost 5 total inches! I noticed muscle in places that I didn’t even know existed. I saw my arms and legs beginning to tone. I was so impressed with my results it had me coming back for more! I did the program again the next month and came out with great results again! 21 DAY FAT BLAST. Only $79! ($99 for non-members) Spend 21 days shedding unwanted body fat and jump starting your results. So far, the average participant, of the 5500+ who have completed the program, has lost over 2.5% body fat and over 2.5 inches in their midsection in just 21 Days! Congrats to Carol Bagwell for losing 3.5% bodyfat and 4 total inches in the April 2012 Body Fat Blast! Some of the top results from the 21 Day Body Fat Blast - Lisa McCormick lost 4% body fat and 1.5 inches, Kristina Theall lost 3.5% body fat and 4.5 inches, and Ashley Caldwell lost 3.5% body fat and 3 inches, and Jamie Woodruff lost 5% bodyfat and 3 inches. All in just 21 Days! COME TRY THE 301 WORKOUT! WE POST A NEW 301 EVERY MONDAY FOR YOU TO ADD TO YOUR ROUTINE. COMPLETE IT AND PUT YOUR NAME ON THE BOARD. YOU CAN ALSO COMPETE FOR TIME IF YOU WANT. THIS IS A GREAT, EASY-TO-FOLLOW WORKOUT AND OUR STAFF WILL SHOW YOU HOW TO DO THE EXERCISES. Why overpay for 1 type of exercise? 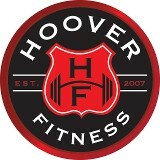 Hoover Fitness offers all types of exercise for as little as $19.99 per month and we will help you reach your health and fitness goals. Incorportate all of the above options to develop a perfect routine that is well-balanced. All for a very low price! Want Results? Need Help? We can show you the way to looking better and feeling better. We have many solutions to help you reach your goals, from affordable 1-on-1 and group personal training, to free group fitness classes, and even free do-it-yourself workout plans. 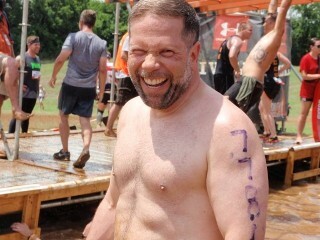 First-timer or expert in fitness? We can help! Contact us to schedule a free assessment or just to get some advice. 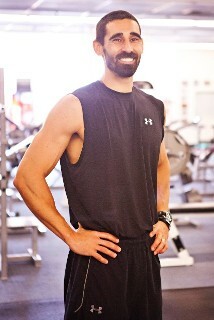 Jason is a Certified Personal Trainer, Sports Nutritionist, and Golf Conditioning Coach. 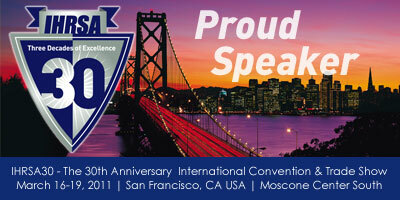 He was awarded in July 2008 by Club Solutions Magazine the "Most Fit Health Club Professional in America." He is the author of the book, Look Great. Feel Great. And Still Eat Pizza!, a veteran of the fitness industry for over 15 years. Hoover Fitness is a proud supporter of Juice Plus+ fruit and vegetable capsules. To learn more about Juice Plus+, log onto www.cernigliajuiceplus.com and watch the short video. Join our mailing list. Receive our newsletter and diet and exercise tips. Click on "contact us" and send us your email address.